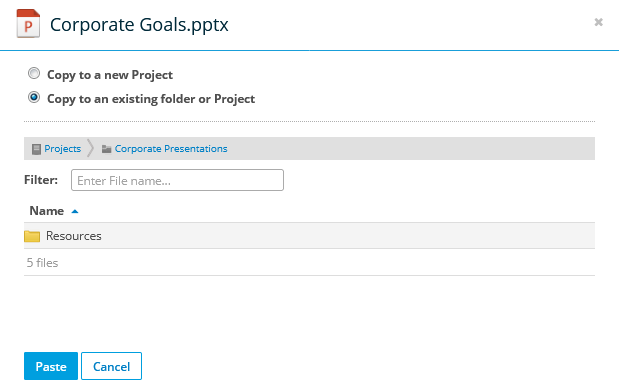 The Folder Detail page displays information about the project folder, lists all sub-folders and files in the folder, and provides access to a variety of related functions. FavoriteA favorite is a project, folder, or file attribute that makes the item easier to locate.. Refer to Favorites. Publicly linked. 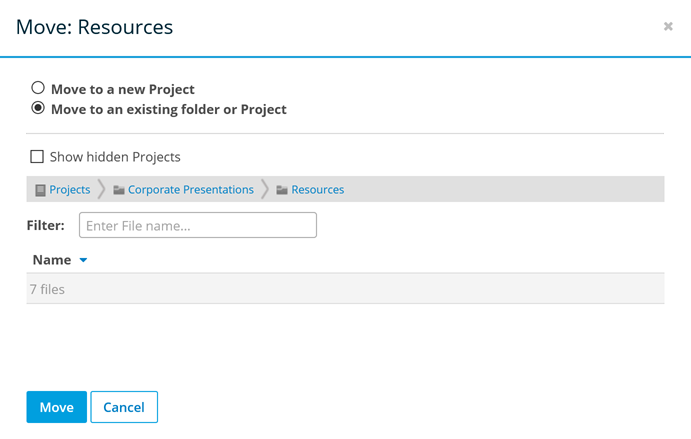 Refer to Manage Project, Folder, and File Public Shares. The folder has been archived. This means that it is hidden, but not deleted. The folder has been deleted. Refer to Deleting and Undeleting. Reveal in Explorer (Windows) or Finder (Mac). Click to open the corresponding folder on your desktop or laptop. This option requires that Workplace DesktopAlso known as the Workplace Desktop app, and in the context of this documentation, simply "the app," Workplace Desktop is the software installed on a computer that is responsible for synchronizing data between the local drive and the cloud. is installed on your computer. The toolbar allows you to quickly access a variety of functions. For more detailed information, refer to Manage the folder using the toolbar. The area below the comment alert displays your access level for this folder. 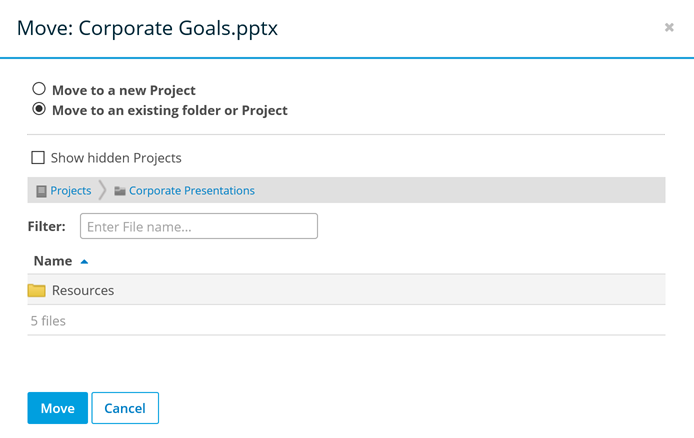 Refer to Manage Project, Folder, and File Team Shares for more information. 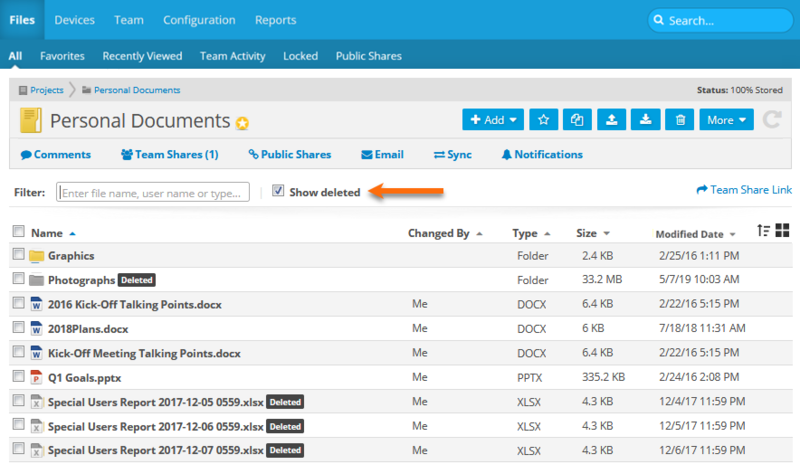 If the folder has been publicly shared, Share Public Link will appear at the top right of the folder content list, and a Public badge will display next to the folder name. If the folder has not been shared publicly, Share Team Link will display instead. Additional options display when you hover over the links or the badge. Copy Link Places the link on your clipboard. QR Code Opens the QR Code popup. Click the Copy to Clipboard button to place the QR code on your clipboard. Click the Download QR Code button to download the QR code image. Begin typing a name or email address or click the Pick From Team link or the icon to find a team member's email address. If the folder has been publicly shared, You may also enter external email addresses. 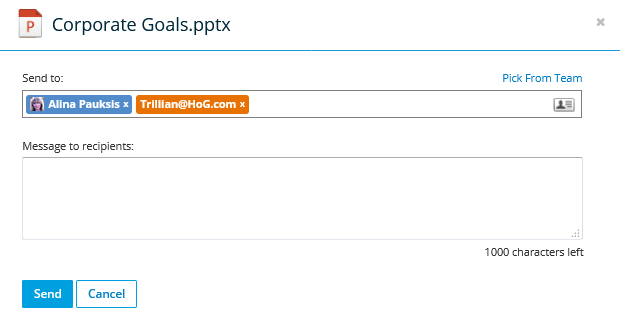 Team member email addresses will display in blue, while other email addresses will display in orange. The popup displays statistics, history, access history, public user activity, and an access map. Click a tab title to change the statistics view. 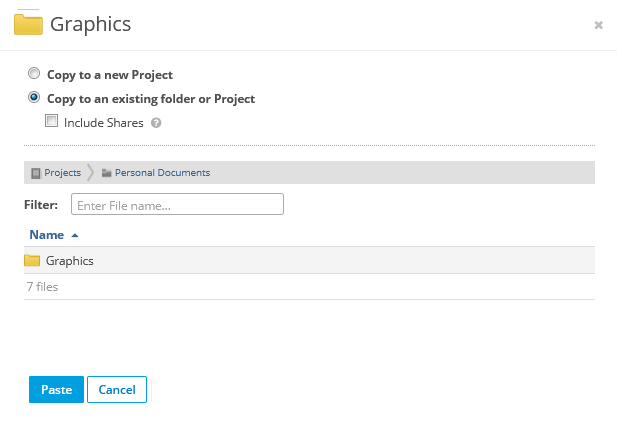 For detailed information on creating and editing team shares, please refer to Manage Project, Folder, and File Team Shares. Check boxes will indicate the current sort order. To control ascending/descending order, just change the selection. 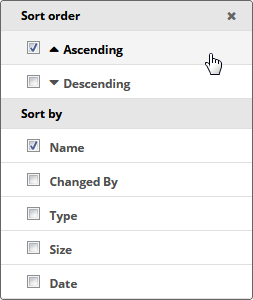 To sort by a different column, select the check box for that column. You changes are automatically applied, and Workplace will remember your sort preferences the next time you view the page. Enter the name or type of the file or folder in the Filter field. The list will be updated automatically. To remove the filter criteria, click the icon in the Filter field. Click the Refresh button to the right of the file toolbar. The view controls are located in the upper right corner of the list. Click the control to view the sub-folders and files in gallery view. Click the control to view the sub-folders and files in list view. The toolbar at the top right of the page allows you to quickly access a variety of folder functions. Excel Spreadsheet Add an Excel spreadsheet to the folder. This will open the Create New Document popup. Powerpoint Presentation Add a Powerpoint presentation to the folder. This will open the Create New Document popup. Add the folder to or remove the folder from your Favorites list. If you are using Workplace MobileWorkplace Mobile is the Workplace application designed specifically for the various mobile platforms, providing access to Autotask Workplace. 3.9 or earlier, your favorites will be automatically synced to your tablet or smartphone, and unfavoriting a file in those versions will result in its removal from your tablet or smartphone. 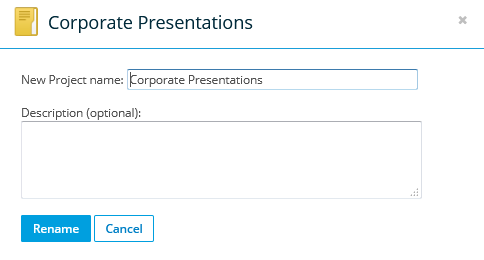 To copy the folder to an existing location, select the appropriate radio button, and browse to the new location in the area provided. 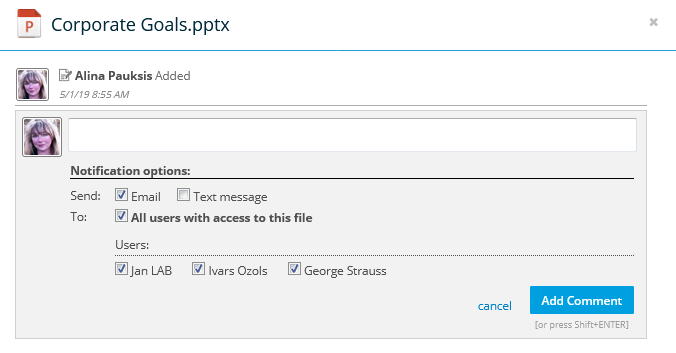 If you wish to copy the folder team shares as well as the contents of the folder, select the Include Shares check box. Then click Paste. You may only copy folder team shares if you are the project owner or have full access to the project and reshare permissions for both the original project and the project you are copying the folder to. 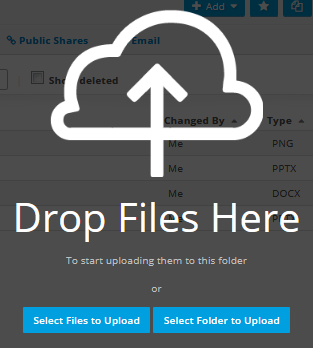 Upload files or folders to this folder project. Download Download the folder to your computer's default download location. Confirm your action in the Delete Folder popup. All Add options Refer to the Add section of this table. Favorite/Unfavorite Refer to the Favorite/Unfavorite section of this table. Copy Refer to the Copy section of this table. Move Refer to the Move section of this table. Upload Refer to the Upload section of this table. Download > Download Download the project to your computer's default download location. Download > Restore Restore this project to a desired location on your desktop or laptop. Note that this option requires that Workplace Desktop is installed on the computer. Manage > Previous Versions View previous versions of the project. Refer to Previous Versions. Manage > Delete Refer to theDelete section of this table. If you are using Workplace Mobile App 3.9 or earlier, your favorites will be automatically synced to your tablet or smartphone, and unfavoriting a file in those versions will result in its removal from your tablet or smartphone.